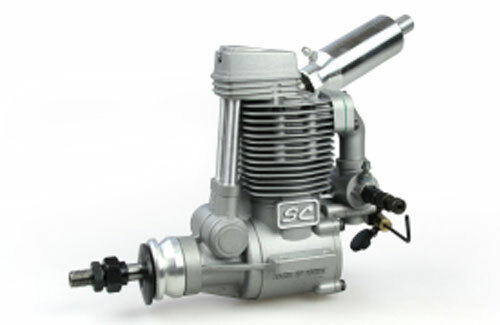 Outstanding performance, ballraced precision new improved Mkll series engines add up to more engine and more performance for your money. 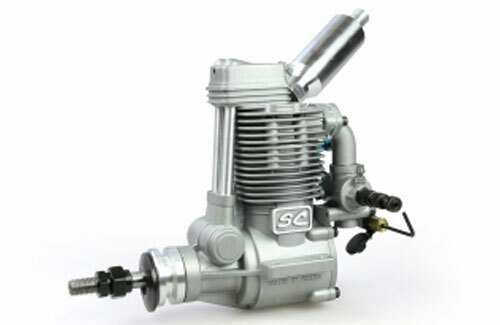 The SC factory have chosen to feature precision ABC piston/liner assemblies in 99% of their 2-stroke engines (the new 180 2-stroke is ringed). 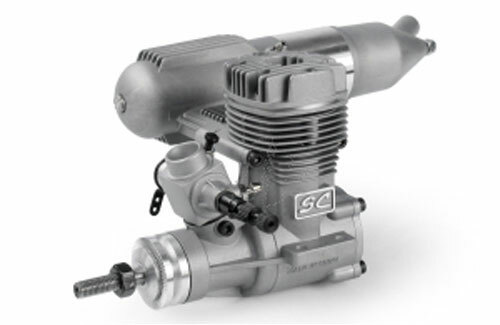 Once reserved only for close tolerance competition-class engines, the ABC set-up (although more demanding to manufacture), gives the best possible piston-to-liner fit during running, plus the ability to tolerate a wider range of fuel mixture settings. This gives better performance for the expert with easier handling and less risk of seizure - especially good news for the newcomer. SC 4 strokes are primarily ringed for the easier handling characteristics this gives 4-strokes. Additionally, every single engine is turned out with a twin ball bearing crankshaft so that each engine will continue to run smoothly throughout its life - the same as it did on day one. Quiet swivel outlet silencers are standard with all except heli and marine engines. 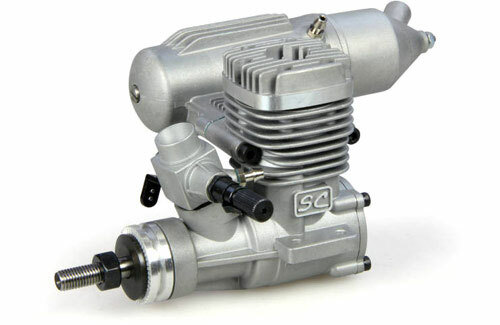 New accurate twin needle carbs are standard with all engines and now feature inset idle needle with precision ground carburettor barrels. A popular engine from SC with power of a 40 in a smaller crankcase. Small, light and very powerful and such good value! 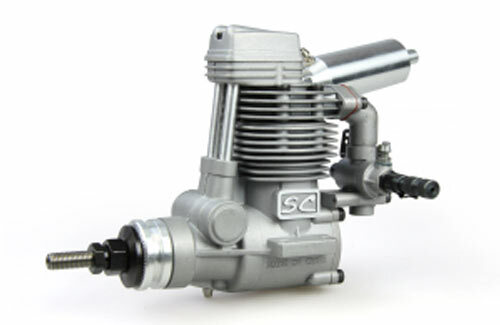 All SC engines have crankshafts supported by dual ball bearings which run and run when compared with the cheaper plain bush bearings found in so many sports engines today. 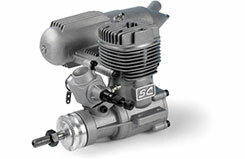 The all-important piston and liner is ABC in nearly all SC 2-strokes to give the best fit and performance for model engines. ABC setups provide competition levels of power and a brilliant resistance to seizure if the mixture control is wrong. The perfect answer for sport flying. 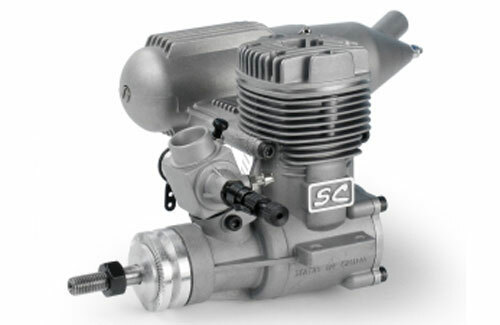 Exquisitely machined components feature in so many engines throughout the range - which is why SC engines look as good on the inside as they do on the outside. 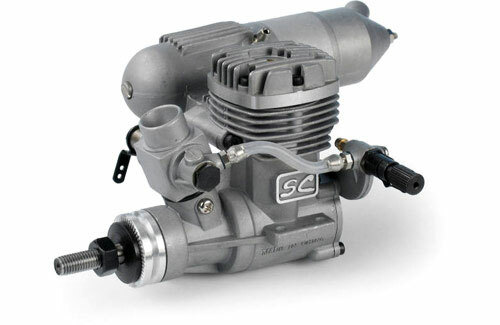 Outstanding performance at a price that offers outstanding value for money, this engine from SC will certainly astound. Ballraced precision new improved Mkll series engines add up to more engine and more performance for your money. 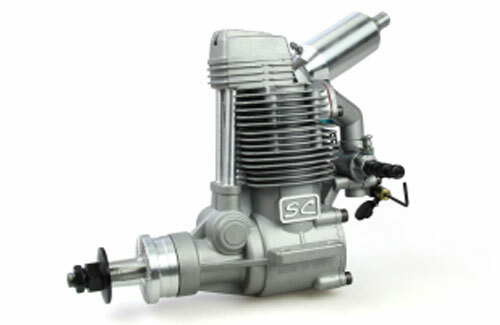 SC have chosen to feature precision ABC piston/liner assemblies in 99% of their 2-stroke engines (the new 180 2-stroke is ringed). SC 4 strokes are primarily ringed for the easier handling characteristics this gives 4-strokes. 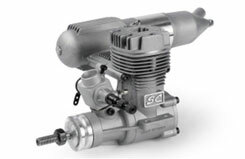 Additionally, every single engine is turned out with a twin ball bearing crankshaft so that each engine will continue to run smoothly throughout its life - the same as it did on day one. Quiet swivel outlet silencers are standard with all except heli and marine engines. 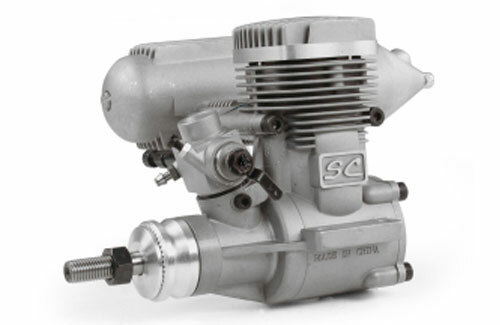 New accurate twin needle carbs are standard with all engines and now feature inset idle needle with precision ground carburettor barrels.